Kitchen Manual, 1907, Jennie Day Rees: First edition, first printing copy of cookbook self-published by Jenny Day Rees in 1907. “Printed and Published by Mrs. Rees for exclusive distribution only” in Memphis, Tennessee. Printed by the Ebbert & Richardson, Co., Printers, Cincinnati. Subtitle: Being a collection of cooking formulas, both ancient and modern, together with many that are entirely new, originated by the author after an experience of many years. 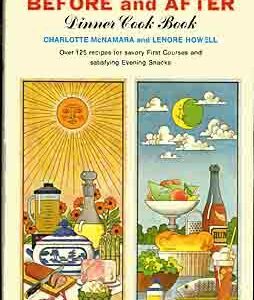 This is a comprehensive cookbook tabbed indexed with recipes for soups, fish, poultry and game, meats, vegetables, cereals, entrees, chafing dish, hor d’Oevres, sandwiches, salads, sauces, eggs, bread, cakes, desserts, preserves, pickles, candies, and drinks. Mrs. Rees paid for a lovely cookbook, with dark brown linen covered boards, embossed with the title, date, and her monogram. 372 pages. 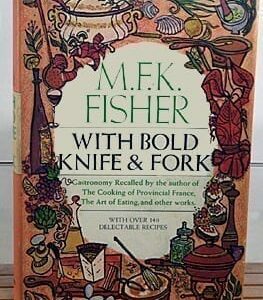 This cookbook, very difficult to find, is in excellent antique condition. The cover has some shelf wear, and the corners are bumped. The outside edges of the first six pages are curled. And the tabs are slightly discolored. Other than those slight flaws, the book is in great shape. All the pages are completely clean and clear. The binding is sound. The front hinge is slightly exposed, but it is holding well. The back hinge is perfect. Definitely gift quality.